How can I duplicate the entire field map from one site to another? Home › Forums › How to › How can I duplicate the entire field map from one site to another? Hi, The dentist I work for has opened a second office and wants her forms duplicated on the new site. 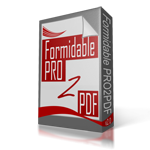 I bought Formidable Forms and forms2PDF for the new site. How can I copy two forms on first site exactly without tediously remapping every field? I already exported and placed the Formidable Form, is there any way to do the same for the mapped fields? Yes, use the PRO2PDF TEMPLATES tab, which allows you to export (and import) the Formidable Form, PDF Form, and Field Map Layout in one file. NOTE: Disable any repeatable sections before exporting, then re-enable after importing to the new site. BEWARE: Disabling repeatable sections on the first site will destroy any existing data in the repeatable section. You should first export the repeatable section’s form from Formidable’s Export tab prior to disabling the repeatable section, then import after re-enabling the repeatable section. Thanks, what is a “repeatable section” and how can I tell if I have one? This is a repeatable section, you should be able to tell if the form(s) have one by how it works… Let us know if you need any further assistance. Reply To: How can I duplicate the entire field map from one site to another?